John Digweed is a British DJ and record producer. He began DJing at around age 13. He realised the only way to break through was to start his own nightclub and book the big names like Carl Cox for him to play with. His break finally came when Sasha (real name Alexander Coe) played at Digweed's Bedrock nightclub in Hastings. Sasha, impressed by what he heard, offered Digweed the residency with him at the now seminal club Renaissance, at that time in Mansfield. A lasting partnership was born and saw the release of the the first ever club mix compilation "Renaissance a mix compilation pt One - Sasha and Digweed," regarded by many as still the best. John Digweed, along with Sasha, as Sasha and Digweed, is known for promoting a progressive trance/house sound that became popular in Europe and North America in the 1990s. However, as trance became brighter (described by some as 'cheesier' or 'fluffier'), the progressive sound provided a counterpoint by becaming darker, more minimal and tribal going into the 2000s. Along with Nick Muir, Digweed produces under the alias Bedrock. Digweed also started the record label Bedrock Records. Digweed appeared in the 2000 film Groove, and in 2008, Digweed's music is to be featured in the film movie adaptation of Irvine Welsh's best-selling novel "Ecstasy: Three Tales of Chemical Romance." A Bedrock track 'For What You Dream Of' also appeared in "Trainspotting," which was based on the novel of the same name by Irvine Welsh. 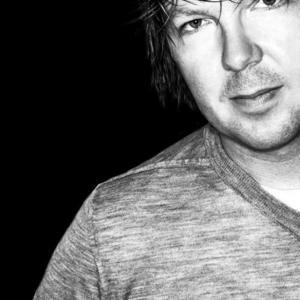 Digweed has a weekly radio show on Kiss 100 in the UK, where he provides a one hour set of his choice of music, followed by a one hour set of a guest. In addition to Europe, Digweed has had a tremendous career in North America. Digweed, along with Sasha, established a monthly residency at the now defunct New York club Twilo, a legendary residency that established itself at the forefront of progressive trance and house music into the American mainstream. Digweed followed this appearance with a country-wide tour called Delta Heavy, a moderately successful appearance across North America. Digweed's Bedrock nightclub in the UK still continues with a very clued up and loyal crowd of house lovers!